Down Under Brookline is almost open. All photos provided by Down Under Yoga. 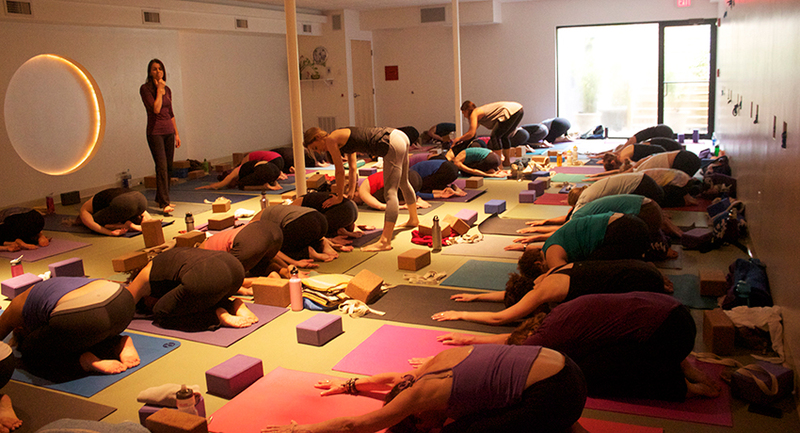 Boston may be known as a runner’s city but it should be no surprise that we are a “yoga city” too. Forbes recently ranked Boston the 7th biggest yoga city, saying that city residents are 26 percent more likely to practice yoga than the general population. 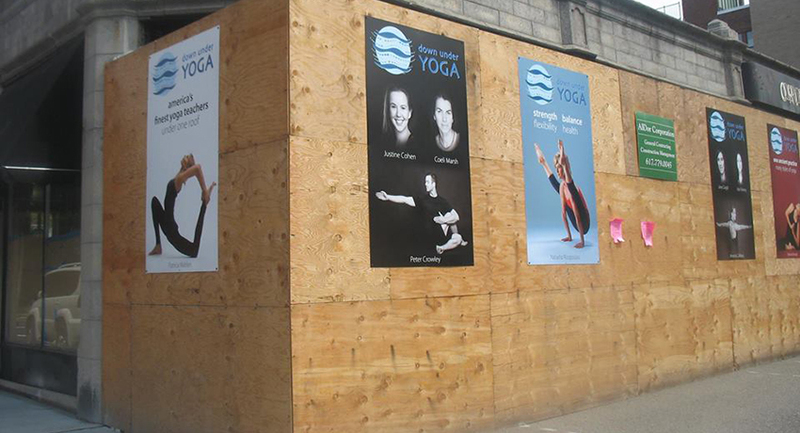 Under normal circumstances, the opening of a new yoga studio in Boston, while amazing, wouldn’t exactly be big news. But in the case of the new Down Under Yoga in Brookline (Down Under already has a studio in Newton), the news is pretty huge. That’s because four master teachers are coming together to create the new studio. The new studio will feature three generations of teacher-to-student lineage with all of the major yoga traditions, and Down Under’s signature and powerful anti-commercial platform. That means, if you’re looking for yoga set to hip-hop or a studio that uses blacklights, Down Under is not the place for you. 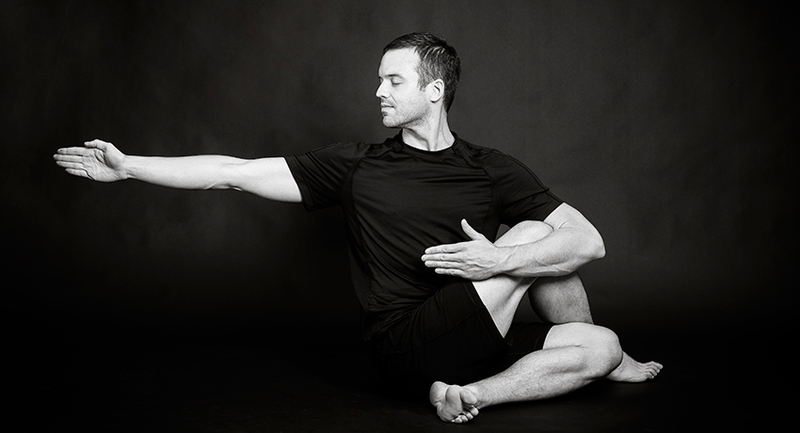 The studio is unique in its commitment to returning yoga back to its traditional Indian roots in terms of philosophy and practice, so you won’t find any celebrity endorsements, branded accessories, or $100 yoga pants (which studio director Justine Wiltshire Cohen says is the exact opposite of the whole point of yoga practice). In fact, the studio promises students that it will never sell products or make deals with clothing companies. Another unique feature of Down Under is that yoga journals and magazines from around the world ask Cohen for yoga photography images, which the studio and its instructors and students produce (see all the gorgeous images below). In addition to Ms. Walden and Iyengar, Down Under’s Vinyasa program will be led by Barbara Benagh, who Yoga Journal calls “one of yoga’s most compelling and distinctive voices.” Ashtanga practitioners will be led by Kate O’Donnell, who like Walden travels annually to India to study. Master Baptiste teacher Coeli Marsh will also teach classes at Down Under. The grand opening weekend starts Thursday, October 3rd. The new studio is located at 1052 Beacon Street in Brookline. 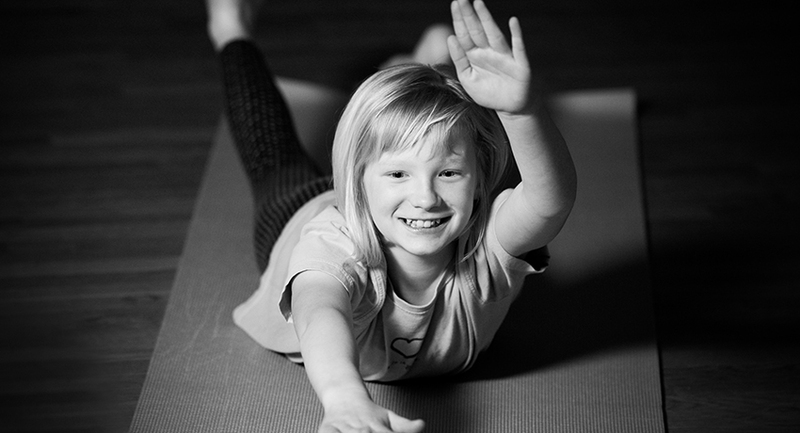 Kids classes are popular at Down Under. Yoga magazines from around the world ask Down Under Yoga for their beautiful images.